Today is a great day for Captio. Looking back, it has been 6 years since in 2012 the first platform to automate the management of Spanish market expenses was created. Since then the road has been long, with some great stretches, and other tougher ones, but it has led us to become leaders in the Spanish market and to take our solution to more than 136 countries around the world. Many things have changed since a team of a dozen people started to build a product and a company around them. Today is one of those days that mark a milestone in the history of this project. 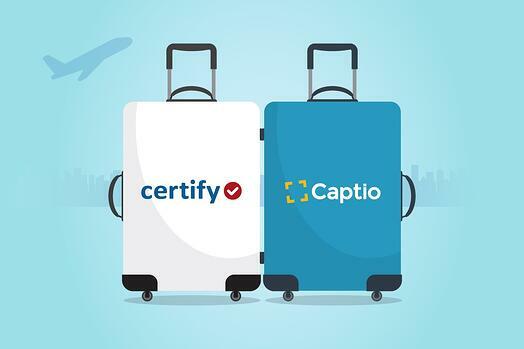 Captio joins the largest independent provider of software for the management of travel expenses: Certify. The company, headquartered in the US, saw in Captio an unbeatable partner to implement its strategy as it enters the European market. This alliance has come about thanks to our position as one of the leading suppliers in the European market and our ability to adapt to the complexities of local regulations in each country. We will continue working on the current product lines and serving our clients, with an improved range of services, and taking advantage of the synergies within the group. What does this mean? The same product. Our users will continue to use the same platform, subject to the same conditions, and with the same quality service. The same team. Captio will function as an independent company within the group. That is, we will work at the same offices, and with the same people you already know and trust. We continue to have the same objective, but with enhanced strength. We are now part of a group made up of specialists in software to manage corporate travel and expenses. We have joined a group comprised exclusively of companies whose product revolves around business travel, and that is already trusted by more than 10,000 clients in 90 countries. This alliance will undoubtedly generate synergies that will enrich our value proposition, thanks to a better tool. 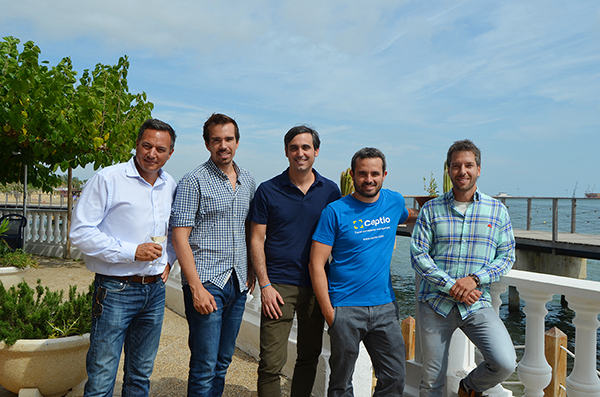 This is truly an exciting day for the whole team at Captio. For six years we have worked hard to create a tool that makes it easier for business travellers to record their expenses and for companies to manage and reimburse them quickly. We are proud of the progress we have made and the success our clients have had using it. This alliance lays the foundation for a very bright future. Teaming up with Certify will allow us to further expand our product, reinforcing our commitment to growth in Europe and improving our service. Far from marking the end of our journey, working with Certify will accelerate our shared plans to become the leading solution for the management of expenses in the European market.